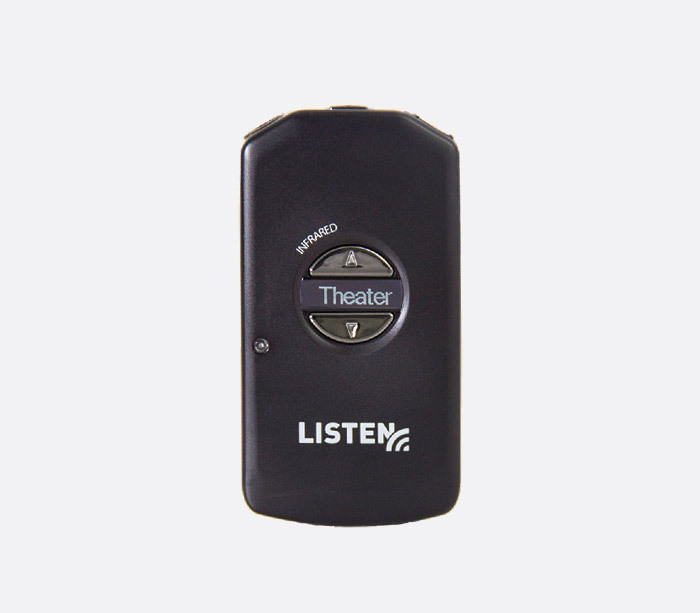 ListenIR infrared products from US based Listen Technologies have been designed for assisted listening, audio description and language interpretation in locations such as boardrooms, courtrooms, training rooms, classrooms, museums and theatres. The systems work by transmitting/receiving a modulated beam of infrared light in 'line of sight' which is converted from/to audio for a listener to hear via headphones or hearing loop lanyard. This is a two-channel infrared transmitter and radiator combined within a single piece of hardware. It can provide line of sight coverage of up to 30,000 square feet (2787square metres) when combining with the LR-4200-IR belt pack receiver. The range can be improved by linking up to four LA-141 expansion transmitters, a maximum of two per expansion link output, by Cat-5e cable. The user can select one of four FM wide band frequencies for each of the two channels. Available frequencies include 2.3MHz, 2.8MHz, 3.3MHz, and 3.8MHz. The radiator can be mounted in a number of ways including on walls, ceiling or table using the included LA-344 mounting hardware kit. The front panel has no controls, only the infrared radiator which is housed behind the infrared transparent panel. The rear panel has all user controls and audio/data inputs and outputs for the two channels and links. Both channels have a 3.5mm balanced jack input suitable for electret microphones, dual unbalanced RCA (phono) inputs for an audio input from other hardware such as CD player or DAB radio, and a 3-pin Phoenix style detachable terminal block connector for a balanced audio input. Controls for each channel include a rotary level control with LED level indicators, recessed rotary frequency selector and sliding transmission on/off control. A separate sliding switch situated next to the 12V DC power supply input controls power; it has three positions, off, on with LED status lights, on with no LED status lights, the latter for situations where flashing LEDs may cause distraction. Two RJ-45 output links can be used to connect option LA-141 expanders with a maximum connection cable length of 30m. Dimensions: 38.1 x 272 x 105 (H x W x D) mm. Weight: 0.4kg. Included accessories: LA-210 12V DC power supply, LA-344 mounting hardware, 2x Phoenix type connectors, quick start guide, LA-303 signage. 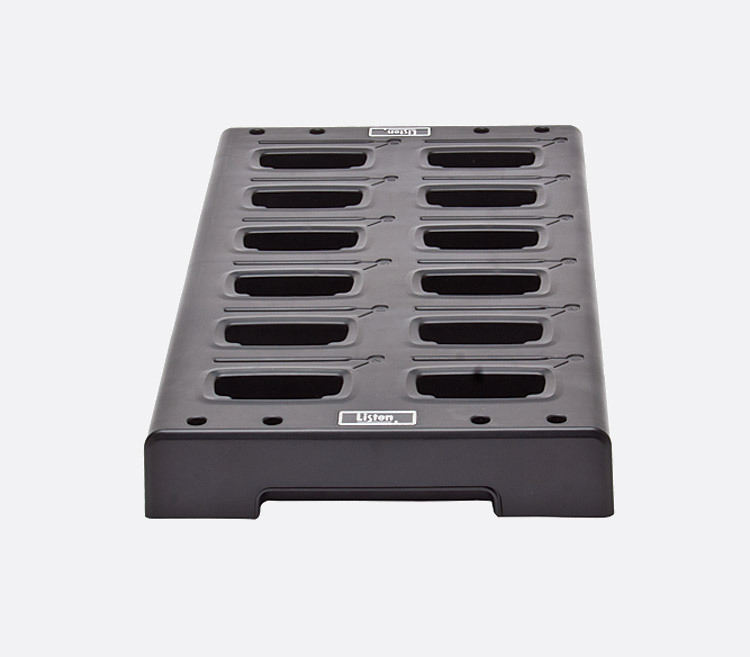 Up to four LA-141 transmitter expansion units can be connected to a single LT-84 transmitter-radiator to expand the coverage to avoid dead-spots or reach receivers which are hidden from line of sight . 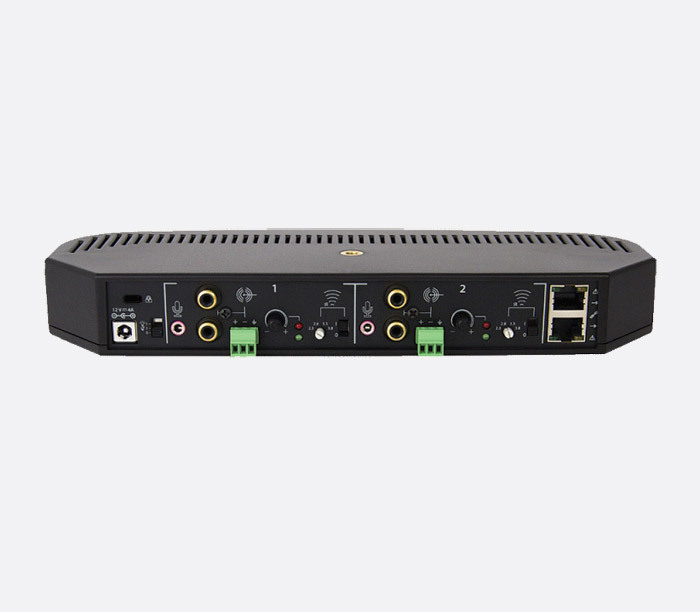 The rear of the unit has two RJ-45 link connections for expansion, a two way switch to control the LED indicator on/off status and a recessed rotary control for each channel offering delay compensation. A compensation table listed in the user manual shows the settings to use dependent upon frequency and cable length. Dimensions: 38.1 x 272 x 105 (H x W x D) mm. Weight: 0.28kg. Included accessories: 1x 7.6m CAT-5e cable, LA-344 mounting hardware, quick start guide. 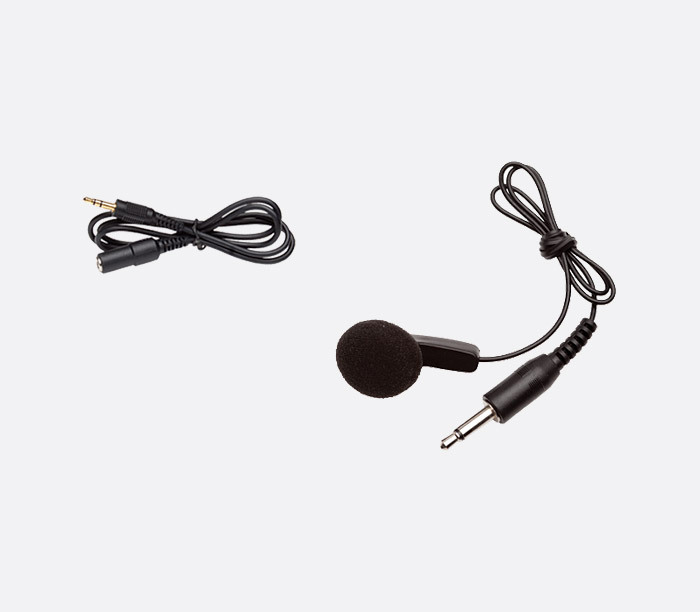 The LR4200IR infrared receiver is a compact belt pack, designed to be used in conjunction with the LT-84 transmitter radiator to provide listening via earphones, headphones or neck loop. The front of the unit has an OLED display that shows the selected channel number or user set name, or channel select functions. The channel select function can be accessed by holding down the volume up and down buttons together for five seconds. A momentary press of the power button, situated on the top edge of the receiver, will exit from the settings screen. 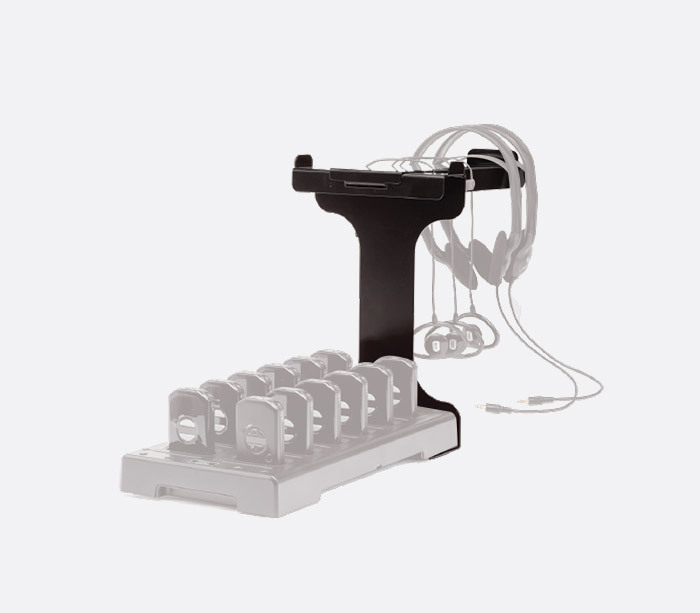 Two 3.5mm jack sockets are located on each side of the top edge to connect compatible headphones such as the LA-401, LA-402, LA-403 or LA-404. 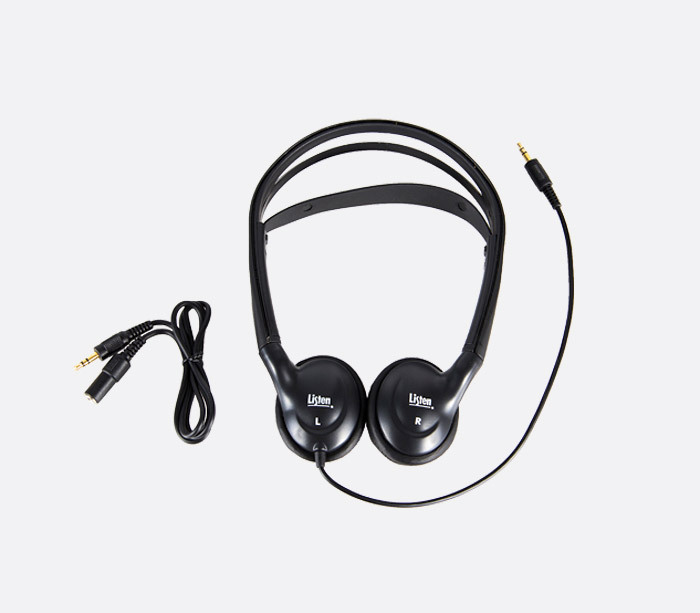 Two pairs of earphones/headphones can be connected (one to each output) but this is not the intended purpose of the two outputs: The LA-430 neck lanyard has two 3.5mm jack connectors and therefore can use both connections to complete the induction loop for use with compatible hearing aids. The rear of the unit has a LA-431 belt clip which can be removed by way of single screw when not necessary. A Micro USB socket can be used to charge the internal Lithium-Ion battery with the LA-423 charger and LA-422 USB type A to micro-B USB cable. 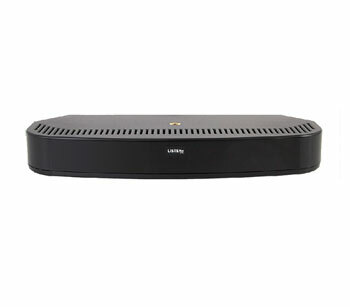 A charging contact on the base of the unit allows the user to charge via the LA-381 twelve-unit charging dock. An LED situated next to the power button flashes to indicate low battery status and charging status or is constant when fully charged. Typical usage battery life is 8 hours and full charge can be obtained in 2.5 hours. Dimensions: 96 x 50 x 17 (H x W x D) mm. Weight: 53.9g. Included accessories: Quick start guide and a replaceable Lithium-ion battery. This is compatible with the LR-4200-IR and provides 400mA/m (+/-3dB) and neck loop frequency response of 100Hz to 5kHz suitable for listening via compatible hearing aid. 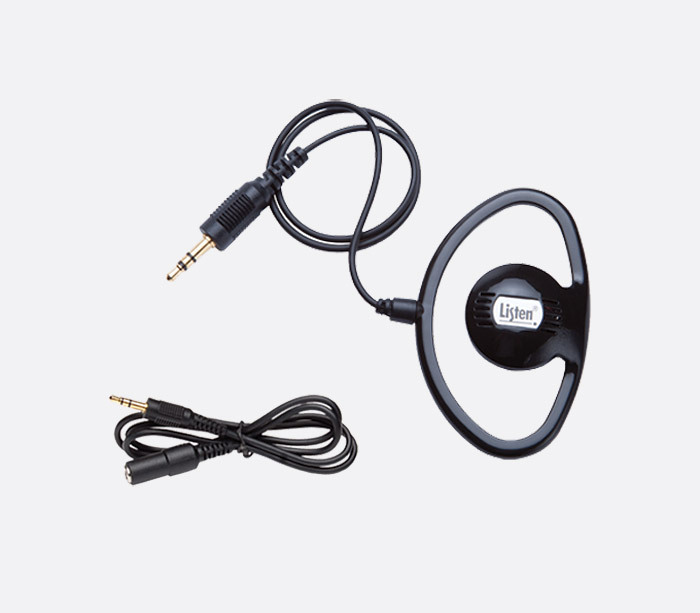 An integrated 3.5mm 3-pole jack socket positioned mid cable allows the user to plug in earphones or headphones and use the lanyard to provide a comfortable carrying device for the LR-4200-IR receiver. Total cable length is 74cm with a total weight of 43g. This 'drop-in' charging station is designed to charge up to twelve LR-4200-IR receivers simultaneously, also providing a convenient way to dispense or store the receivers. Each charging slot has an associated credit-card sized ID card slot to be used as way of storing a deposit for the loaned receiver. 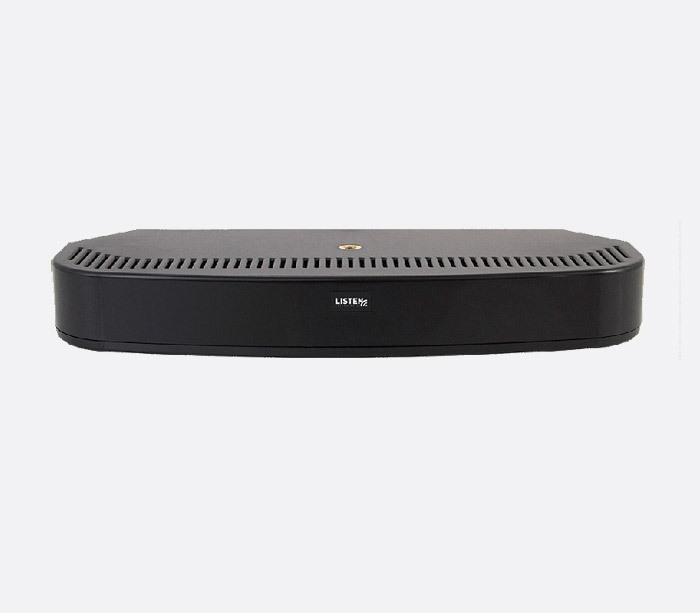 The optional LA-382 cable management arm can be used to conveniently and neatly store cables and headsets. Dimensions: 44.5 x 355.6 x 190.5 (H x W x D) mm. Weight: 2.27kg. This is designed to be used with up to four LR-4200-IR receivers to provide charging via included LA-422 USB to Micro USB cables. A small LED on the front of the charging unit shows when the charger is connected to a live AC mains socket. Dimensions: 62 x 74 x 29 (H x W x D) mm. Weight: 221g. Supplied with both LT-84 and LA-141 transmitters, this kit can mount the transmitters in a number of locations and arrays with adjustable positioning. The kit consists of 1x wall base, 1x ceiling T-bar base, 1x black vinyl base cover, 2x shafts, 1x adjustable head with locking ring, 1x tamper resistant screw set, 1x wrench, and 1x threaded rod.